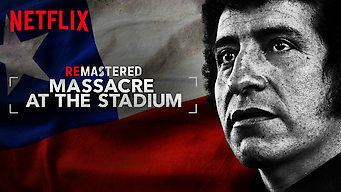 How to watch ReMastered: Massacre at the Stadium (2019) on Netflix Canada! Yes, ReMastered: Massacre at the Stadium is now available on Canadian Netflix. It arrived for online streaming on March 8, 2019. We'll keep checking Netflix Canada for ReMastered: Massacre at the Stadium, and this page will be updated with any changes. The shocking murder of singer Victor Jara in 1973 turned him into a powerful symbol of Chile's struggle. Decades later, a quest for justice unfolds. Victor Jara created the soundtrack for change in 1970s Chile. But who will answer for his brutal killing?